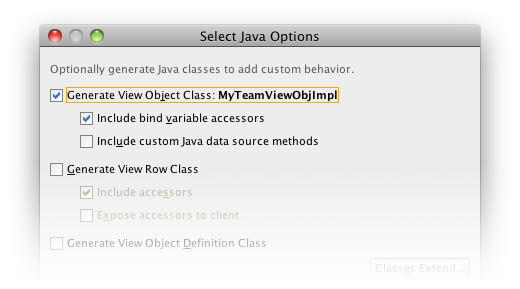 You can make a JDeveloper model View Object (VO) use a data query that has a custom variable accessor in Java. 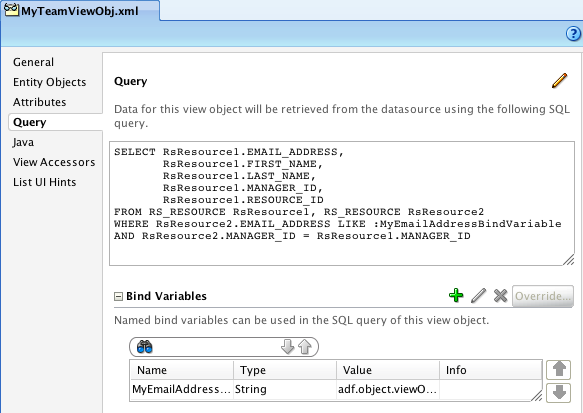 This is useful for cases where you want your where clause to select based on the current user name from the ADF Security context. 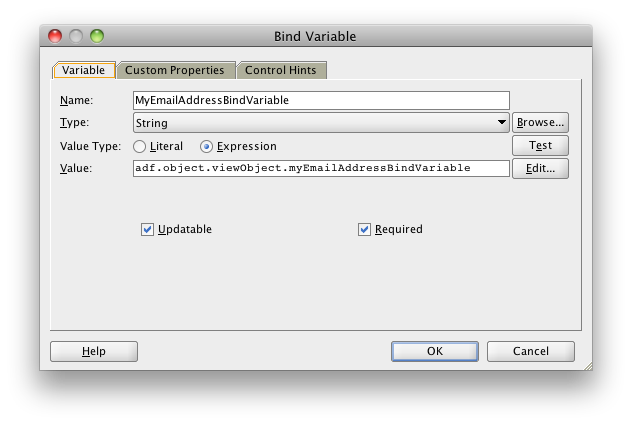 Back in your query expression, refer to this new bind variable by its name but prepend “:” to indicate that it is a bind variable as shown above. This entry was posted in java, jdeveloper, jsf, security and tagged adf, bind variable, groovy, jdeveloper, security, user, view object, vo, where.